If you ever run into the misfortune of having clogged drain, we are here to assist you. 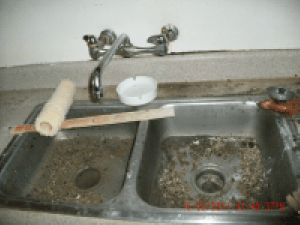 If the plunger, and drain cleaning liquid were not capable of clearing your drain, we will. We have the best assortment of drain cleaning tools. It is very important to have regular camera inspections (at least annually) to give the appropriate maintenance to your sewer line when it needs it. For real state buyers it is also recommended to make a camera inspection to insure the property they are trying to buy does not have sewer problems. 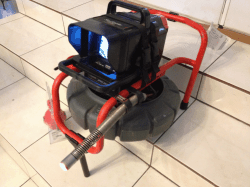 The Hydro Jetter Drain Cleaning Machine uses a powerful jet of water (4,000psi) to clear clogs. It is the best Drain Cleaning tool in industry. Trench-less Pipe Replacement can reduce excavations by up to 95% This technology saves you money, save your landscape or driveway. We are the North Hills Plumbers and we are here to assist you with any plumbing service you might need. We are your local plumbing company. And unlike big companies we can take the time to provide you with unmatched customer service.